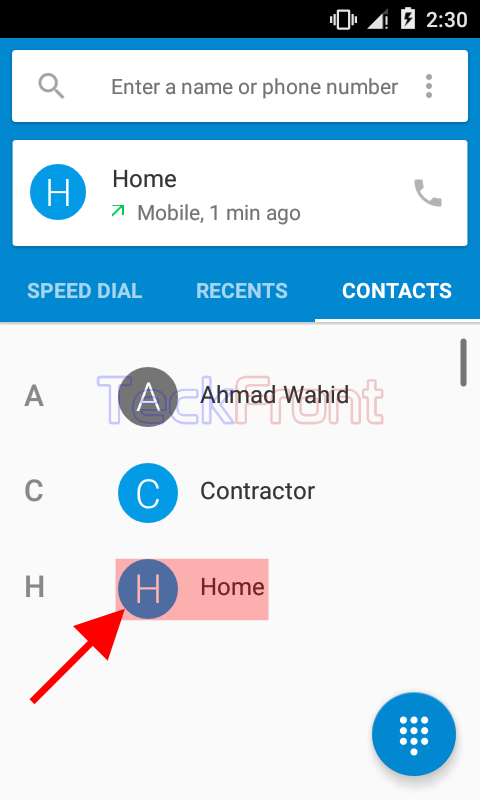 How to Add Contacts to Speed Dial in Android 5.1 Lollipop Devices? While using the Android 5.1 Lollipop device to call, the first priority of every caller is to make a call to the desired contact, easily and quickly. Most users want to place all the important contacts at one screen from where they may call any one, instantly. To facilitate the users, Android has a feature, called Speed Dial, where users may place and arrange all the important calling contacts from where they may be access, easily and comfortably. You may add contacts in Speed Dial screen, easily, but if you feel any problem, you may see the instructions. 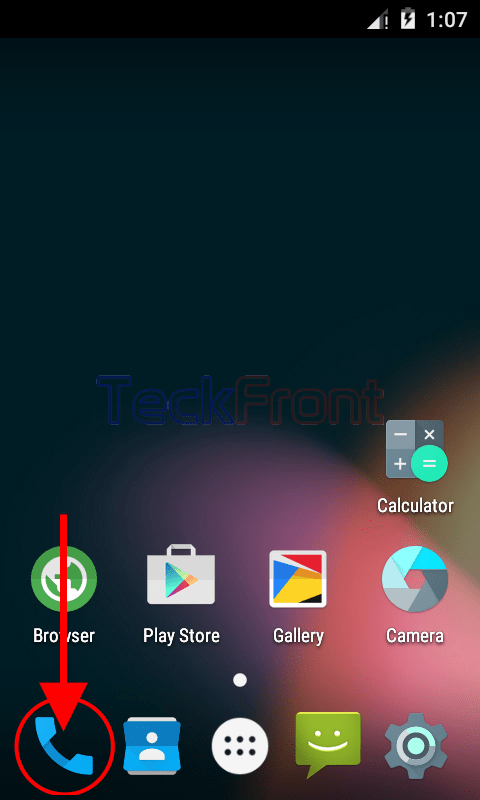 1: Tap the icon of the ‘Phone Dialer’ at the Home screen of your Android 5.1 Lollipop device to open up the ‘Phone Dialer’ screen. 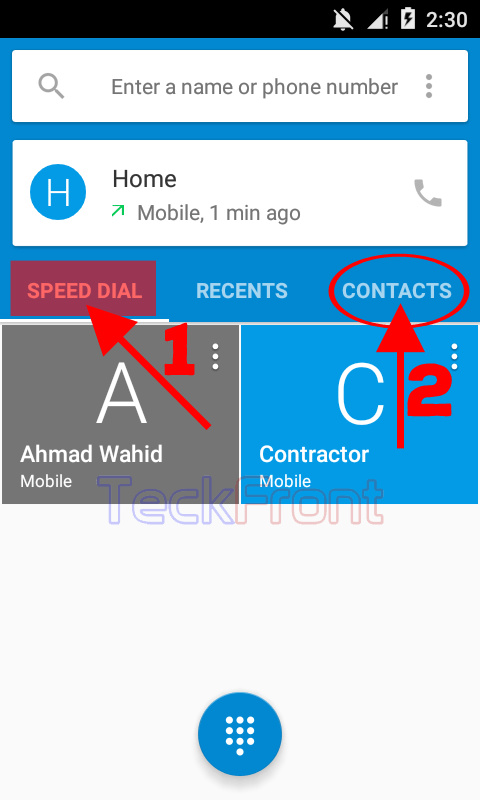 2: At the ‘Phone Dialer’ screen, see there are only 2 contacts at the ‘SPEED DIAL’. Tap the ‘CONTACTS’ tab to display the list of the contacts or swipe to the left. 3: At the ‘CONTACTS’ tab, see the Home contact is not placed on the ‘SPEED DIAL’. 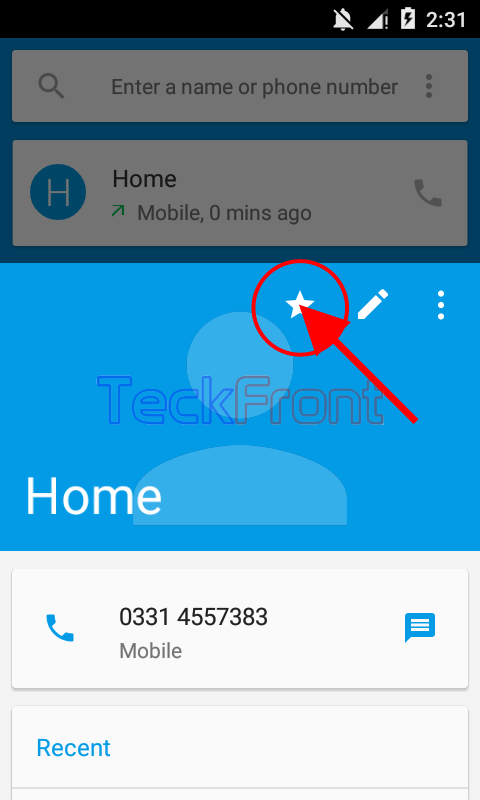 Tap Home contact to open up its setting interface. 4: At the settings interface of home contact, see a star, representing the favorite, is not ticked and is there with outline only, i.e. this contact is not ticked and not added in the favorite list. 5: Tap the star outline to include this contact -Home – in the favorite contacts. See the star outline is gone and the star is filled with white color, means this contact is added in your FAVORITE list. 6: Now, go back to the ‘SPEED DIAL’ screen and see the ‘Home’ contact is added to SPEED DIAL along with the FAVORITE. That’s all! 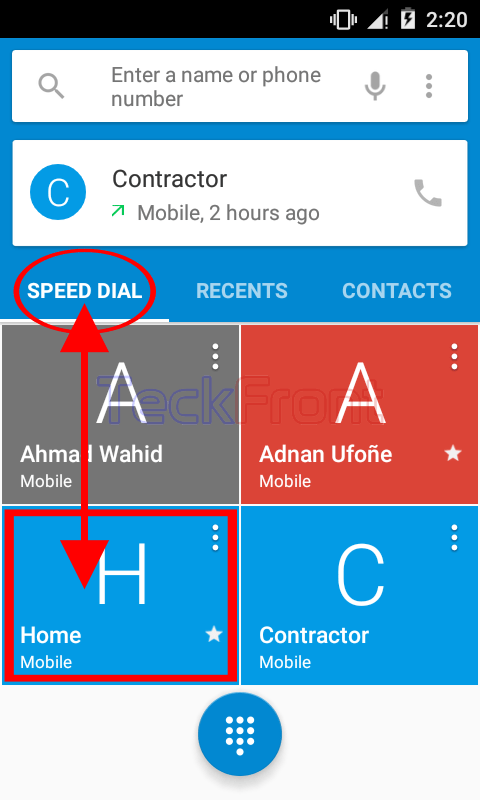 Newer How to Change Place of Contacts on Speed Dial in Android 5.1. Lollipop? 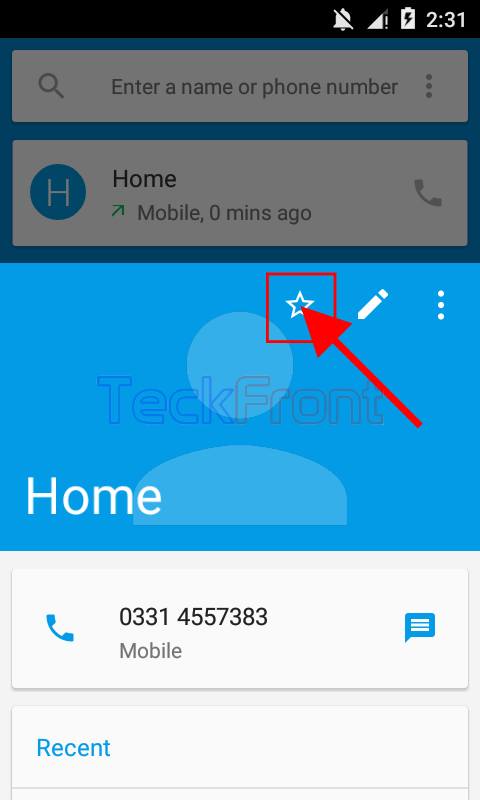 Older How to Create New Calling Contacts in Android 5.1 Lollipop Devices?